In the 1800’s those searching for new beginnings traveled through the Independence area heading to the frontier West. Fast forward to the present, and people still are looking for new challenges. We will have them right here in Independence at our Come Weave with Us 2019 Convention. We are open to anyone 15 years and over wanting a basket weaving challenge. The Beginner to experienced weavers is welcome. This four day event will provide hands-on opportunities to learn and expand your weaving skills. There is only one requirement to be eligible to register and attend this event. You must be a Missouri Basketweavers Guild (MBG) member for the membership year ending December 31, 2019. See Registration for requirements for 15 to 17 year old weavers to attend. There are two special incentives to register for this year's convention. For those who have never joined the Guild, check the Membership Form for details on the promotional free membership offer. If you are a current MBG member attending the 2019 convention and refer new members to attend the convention, you can receive special referral bucks to redeem at this event. Won’t you Come Weave with Us? Come for the entire convention or for one or more days. Use Fast Track Index for Convention topics or scroll down to view all information. All MBG members are encouraged to attend Awards Night activities, Saturday evening August 3, 2019 at 7:00 p.m. The evening will include the Guild’s administrative items, first time attendee recognition and award presentations for the Exhibit baskets, Curry Scholarships, Founding Members Memorial Scholarships, special First Time Attendee awards and other individual special awards. Please note registered attendees must be present to be eligible to receive special awards. With each paid registration, attendees will receive Basket Bucks to spend at one of the convention vendors. This year registered attendees can earn Referral Bonus Bucks by referring a first time MBG member and First Time Attendee. Basket Bucks and Referral Bonus Bucks will only be accepted by participating Vendors on Thursday, Friday and Saturday. No replacements will be issued. Registered students, teachers, and vendors are encouraged to display their talents by participating in the exhibit competition. First, second and third place monetary awards are presented in Professional and Hobbyist categories during the Awards Night activities. The winner in the Beginner category will be recognized during the Awards Night activities. Professional category applies to anyone who teaches basketry, sells their baskets in a wholesale or retail environment, and/or exhibits their baskets. For the Professional category, baskets made in a class or from a kit are not eligible. Hobbyist category is for anyone not included in the professional category. Those weaving only for their pleasure are encouraged to submit baskets in the hobbyist category. Beginner category is for new weavers with 2 years or less weaving experience. Deliver your basket entries to the Basket Exhibit Room on Thursday between 1:00 p.m. to 6:30 p.m. and 8:00 p.m. to 9:30 p.m. or on Friday from 7:30 a.m. to 8:30 a.m. Participants will need to sign a Registration & Liability Disclaimer when dropping off baskets. Please note: There is an exhibit limit of five baskets per person. Plan to visit the Basket Exhibit room and be inspired by the variety of submitted baskets. All MBG members are requested to vote for their favorite baskets before 4:00 p.m. Saturday. Please contact Joanie and Don Meador at for additional information. Request classes for one, two, three or all four days on your registration form. Thursday's 2 hour classes begin at 1:00 p.m. and 3:30 p.m. and Thursday's 4 hour classes are from 1:00 p.m. to 5:00 p.m. Friday and Saturday, 6 and 8 hour classes begin at 8:00 a.m. and end at 3:00 p.m. and 5:00 p.m. respectively. Sunday's 4 hour classes are from 8:00 a.m. to noon. An offered 12 hour class begins Saturday at 8:00 a.m. to 5:00 p.m. and concludes on Sunday from 8:00 a.m. to noon. An hour is allocated for lunch on Friday and Saturday. You have until June 20, 2019 to request classes with your convention registration or to add classes to your assigned class schedule. After June 20, 2019, class requests will be accepted at convention. 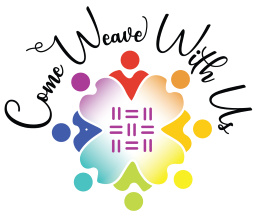 We invite you to be involved in a special “Come Weave with Us” event. In the project area, we will have several team basket projects for our participants to jointly complete. We encourage everyone to add a row or two using your favorite weave and material to create these special baskets. Weavers are encouraged to sign or initial your addition. Drawings conducted during Saturday’s Award Night activities will determine the baskets' final owners. Make sure you are present to be eligible to take home a one-of-a-kind creation. This year we are offering some wonderful convention souvenirs. Please see the offerings and descriptions. Make your selection and complete the order form. Then, return your order form and payment with your convention registration before June 20, 2019. No orders will be accepted after June 20, 2019. Please contact Marilyn Margrave or Mona Hartzler at for more information. Basket related items are requested for the Silent Auction and Welcome Bags (approximately 175 bags). You can help make the convention a success by donating quality related basket item(s). MBG is a 501(c) 3 non-profit organization and donations are tax deductible. Please send your donations with a completed Donation Form to Mona Hartzler, 14203 S. Haven Rd. Grandview, MO 64030-4058 by July 26, 2019. Donations will also be accepted at the convention, however, to streamline the process at convention, please notify Mona Hartzler in advance regarding items you plan to donate. The convention delivery cut-off for items to be included in the Welcome Bags must be received before 9:00 a.m., Thursday, August 1, 2019. Silent Auction items will be accepted until 10:00 a.m. Friday, August 2, 2019 at the convention. Please contact Mona Hartzler at for more information. MBG welcomes new attendees to our convention. Be sure to check “First Time Attendee” on your registration form. First Time attendees receive an MBG name tag holder and a special gift during check-in at the convention registration desk. First time students are eligible to win the First Time Attendee Curry Scholarship. Plus, one of three Woven Circle Guild's First Time Awards will be drawn during the Awards Night activities. Please note you must be present during Awards Night activities to win. If applicable, first time attendees taking advantage of 2019 free promotional membership offer are asked to include the attending member’s name that referred you to MBG on the convention registration form. As a bonus, your referring friend will be eligible for Referral Bonus Bucks. We will have a Hospitality Room once again this year for attendees to relax, unwind, and get an energy boost from a wide variety of snacks. Feel free to bring your favorite non-perishable snacks to share. Hospitality hours are 9:00 a.m. to 11:30 a.m. and 1:00 p.m. to 4:30 p.m. on Friday and Saturday in the Lewis and Clark room by the hotel’s pool. Missouri Basketweavers Guild is hosting the 28th annual convention, “Come Weave with Us” at the Hilton Garden Inn, 19677 Jackson Drive, Independence, MO, 64057, (816) 350-3000, on August 1 through August 4, 2019. Complimentary self-parking is available. Trailer parking will be in designated area only. Hilton Honors members will receive a daily complimentary hot breakfast. Present your Hilton Honors Number or request a Hilton Honors number during hotel check-in to receive a complimentary hot breakfast each day. The hotel is located in Independence, MO just off of Interstate 70 (east of the intersections of I-70 and I-470). From I-70, take exit number 17 (Little Blue Parkway) and turn north. At stop light at Jackson Drive, turn west (left). Follow Jackson Drive to hotel on left. Rooms are $97 per night (plus tax) for a king or standard room (with two double beds) for single to quad occupancy. Room amenities include a small refrigerator, microwave oven, coffee maker and hair dryer. The hotel also has a heated indoor swimming pool, whirlpool and fitness center, complimentary 24 hour business center, and a self-laundry available. Make your reservations by July 7, 2019 to receive MBG’s group rate. Be sure to identify yourself as attending the MBG Convention and confirm your $97 room rate. You can make your reservation by phone at 1-800-HILTONS (1-800-445-8667), calling the hotel direct at (816) 350-3000 or by using the online Group Reservation System. Be sure to enter our group code "MBG" under the Special Accounts and Rates section to get our special $97/night room rate. Click on Group Reservation System to access the online system. Market Place space is available at no cost to all registered attendees wishing to sell basket related items on Friday evening from 7:30 p.m. to 8:30 p.m. Teachers who are not vending are encouraged to participate. Closing time may be extended if there are still shoppers at 8:30 p.m. Since Market Place will be in the same room as classes and vendors, some vendors may elect to be open. Mark your convention registration form to request a Market Place space or request a space by contacting Leanne Nielsen. Spaces will be assigned on a first come basis with teachers receiving priority. For additional information, please contact Leanne Nielsen, Market Place Chair at . The hotel has an American Grill Cafe that offers a hot breakfast buffet Monday through Friday 6:00 a.m. to 10:00 a.m. and 7:00 a.m. to 11:00 a.m. on Saturday and Sunday for $8.75. The hot breakfast is complimentary with Hilton Honors. (See Hotel Accommodations and Information) The Café does not serve lunch or dinner. The hotel offers a 24 hour Pavilion Pantry convenience mart with light food, snacks and sundries. All sleeping rooms are equipped with a refrigerator, coffee maker with coffee and microwave. Attached to the convention center is the Hereford House Restaurant, Kansas City’s famous award winning full service restaurant and lounge offering lunch and dinner. There are also numerous restaurants within walking distance or a few minutes’ drive. A list will be provided at the convention. There are also a number of restaurants that will deliver and food service delivery options available to individuals or individual groups. Friday: A Soup, Salad and Potato Bar buffet is provided at no charge to all registered convention attendees. Non-registered attendees may participate in the soup, salad and potato bar for a fee of $22.00 (gratuity and service charge included). The buffet includes Hereford House steak soup, Hereford House Salad, rolls and butter, baked potatoes, shredded cheddar cheese, chicken, bacon, peppers, mushrooms, sour cream, butter and chives, ice tea and coffee, and a dessert. Indicate on your Convention registration form if you will be participating in the free lunch buffet or purchasing additional lunches. No Lunch reservations will be accepted after June 20 , 2019. Saturday: The Hereford House will provide a boxed deli lunches for a cost of $13.00 (gratuity and service charge included). Choice of Ham and Swiss Cheese served on a Kaiser roll or Chicken Salad Croissant. Each box lunch includes a whole fruit, bag of potato Chips, one house-baked cookie and a choice of assorted soft drink or bottled water. Lunches must be pre-ordered and prepaid on your registration form. No orders will be accepted after June 20, 2019. For those who have special dietary needs the Hereford House has a lunch and dinner menu with a variety of items that can meet your needs. To attend, teach or vend at the 2019 convention you must be an MBG guild member for year January 1, 2019 through December 31, 2019. New and renewal memberships can be included with your convention registration. However, joining now will insure you receive convention information and the Twining Times newsletter before the convention. Details for sending membership form and dues can be found on the membership form. For more membership information or membership status contact Cindy Harris, Membership Chair at . Please remember to bring your MBG name tag holder to convention. If you forget, you can purchase a holder at the convention for $5.00. First Time attendees will receive a name tag holder at convention registration with a special color name tag. Please look for the special name tags to welcome our first time attendees and to assist them with any concerns. Unfilled classes will be available during the convention. Please check on-site open class board at the registration table when registering at the convention or to add additional classes to your schedule. Convention registration will be located in the hotel’s Truman Grand Foyer outside the weaving room. You may check-in, register for convention classes and activities, and receive convention information on Thursday from 12:00 p.m. to 6:30 p.m., Friday and Saturday from 7:00 a.m. to 5:00 p.m., and Sunday from 7:30 a.m. to 8:00 a.m. Only teachers, vendors, and chairpersons may register early beginning at 11:30 a.m. on Thursday. Open weave tables will be set up in the concourse area of the convention center for those who want to finish a basket or work on a new project. These tables will also be used for eating lunch. Back by popular demand is a charity raffle for a Christmas tree covered with hand woven basket ornaments. Please join us by contributing your basket ornament creations to help decorate the tree. All proceeds from the purchase of raffle tickets will benefit a local charity. Plan to attend the drawing during Activities Night. You might be the lucky winner, but you must be present to win..
You must be a Missouri Basketweavers Guild (MBG) member for the membership year ending December 31, 2019 to register. If you have never been a member of MBG, you will want to take advantage of our free membership promotional offer. See Membership Form for details. Any member 15-17 years of age must obtain a release signed by the parent or legal guardian to attend the convention. For the first attending year an accompanying adult must sign a waiver of responsibility and must be in the same class at the convention to assist the student if needed. For more details please contact Cindy Harris, Vice President at . Your convention registration fee of $ 20.00 includes Basket Bucks for your shopping pleasure, Friday Buffet Lunch (See Meals), Hospitality Room snacks, welcome gifts, and all other Convention activities. The registration fee does not include the class fees which will be due upon notification of class assignments. Registration forms postmarked through May 15, 2019 will be treated as First Day registrations. Those postmarked after May 15, 2019 will be accepted and processed according to the postmark date. Fill-in all information and total the amount due on the registration form. If you want to participate in the free Friday lunch, be sure to check "Yes" otherwise check "No" in the space provided on the registration form. List your class choices by (1) day preference and (2) assign an overall preference number. If you do not specify an overall preference, classes will be assigned in sequential order from first to last class listed. For first day registration submissions, class assignments are done by all overall preference 1st choices, and then everyone’s 2nd choice and so forth until everyone’s schedule is filled. Be sure to include alternate choices for each time slot in the event the class is filled when your choice is processed. You may use all the allocated spaces for class selections. Making only a few selections does not insure that you will be assigned a class. Do not worry about class times overlapping; you will not be assigned to classes that overlap. List only classes that you are willing to take. You may not cancel an individual class once assigned. Send your completed registration form, waiver, souvenir order form, membership form (if applicable) and a check made payable to MBG Convention for the amount total due to MBG Convention, c/o Jena Baumgarten, 201 Northlind Drive, Defiance, MO 63341. Include a business size, self-addressed, stamped envelope only if class assignments are to be mailed to you. Otherwise, you will receive your assignments via email. First Day Registration Cut-off is May 15, 2019. Although, mail-in registrations will be accepted until June 20, 2019 class availability may be limited. An open class listing will be posted on this page after First day Registrations and classes assigned are processed. Cancellations must be in writing and received by Jena Baumgarten no later than June 30, 2019. There will be NO refunds after July 1, 2019. Also, you may not cancel an individual class once assigned. A processing fee of $35 will be charged for checks returned due to insufficient funds. For additional registration information, contact Jena Baumgarten, Mail-in Registration Chair at . Carefully read all instructions in preparing Convention registration form. Failure to follow the instructions may result in your application being delayed or returned. Consider weaving skill level in basket class descriptions and weaving level experience when selecting classes. Select only the classes you are willing to take as you may not cancel an individual class once it is assigned. Make your hotel reservations before July 7, 2019. Be sure to indicate MBG for the special Convention room rate. First time attendees check “First Time attending MBG Convention” box on registration form to receive special recognition and for a chance to win a First Time attendee award. First time MBG members taking advantage of the free 2019 year membership promotion offer should enter the convention attending member’s name that referred you for the free membership in the space provided on the registration form. One check payable to “MBG Convention” for the total fees listed on your registration form. A self-addressed, stamped business size envelope if you want your class confirmation letter mailed to you. Otherwise, your class assignment information will be sent via email. Do not send class fees until notified. Check the box provided on the Convention Registration form if you need help finding a roommate for the convention. You will receive a list of other attendees who are looking for a roommate. You are to use the contact information to contact and select a compatible roommate. After you find a roommate, please let Rita Nardin, Roommate Chair know at to remove your name from those seeking a roommate. The President of MBG will award two MBG sponsored scholarships during the Saturday evening Awards Night activities. Curry Scholarships recognize Roger and Betty Curry, for their outstanding contributions to the basket weaving community. They shared the Curry family ancestral Missouri White Oak basket making tradition throughout their lives. One first time attendee and one returning attendee’s name will be drawn from the registration forms and will be reimbursed their paid convention registration fee. Founding Members Memorial Scholarships recognize our dedicated founding members who have passed away. Currently, this scholarship is in honor of Ann Clark and Lillian Hoyt. Two recipients’ names are drawn from the entire MBG membership and are awarded a free convention registration for attendance at next year’s convention. This year, during the Awards Night activities, the names of three first time students will be drawn to receive a special Woven Circle Guild award. First time students must be present to win. Anyone wishing to sponsor a special convention scholarship should contact Leanne Nielsen, MBG President at . Winners of special scholarship awards must be present at the Awards Night activities to win. Convention attendees and visitors (See Visitors) have the opportunity to find basket kits, patterns, weaving supplies and other basket related items from a number of vendors located around the perimeter of the weaving room. Vendor open hours will be posted at the convention and hours are listed in the Convention Events. Market Place is a shopping must on Friday evening from 7:30 p.m. to 8:30 p.m. where Teachers and registered attendees bring a wide variety of basket making and related items to sell. In addition, a variety of MBG souvenir items will be offered in the hotel’s Truman Grand Foyer outside the weaving room and near the convention registration desk. You might be lucky and take home some fantastic donated items from the convention. Bidding is anonymous by bid number and in whole dollar increments only. Registered attendees should look for their bid number on the back of their name tag. Bidding begins Friday at 9:00 a.m. and Saturday at 8:00 a.m. Following announcements on Friday and Saturday, bidding will close for that day’s auction. Winning bids will be posted and winners must pick up their items for that day’s auction during the allocated hours (See Convention Events). All items must be claimed by 10:00 p.m. Saturday night. Winners may pay by cash, check or debit/credit card for items at time of pick-up. MBG appreciates your donations for the Silent Auction. See Donations for more information to donate. MBG extends an invitation to all Teachers, Vendors, MBG Board members, Convention Committee Chairs and next year’s Convention Chair(s) to attend a reception on Thursday night from 6:00 p.m. to 7:30 p.m. Attendees will be treated to a light meal and beverages. For planning purposes, please RSVP by July 30, 2019 to Doris Hynes, Teacher/Vendor Reception Chair at if you are planning to attend. Each year the previous year’s Traveling Basket winner brings a new hand woven basket to the convention for the Traveling Basket drawing held during Saturday’s Awards Night activities. This basket will be on display in the Basket Exhibit Room. Participation in the drawing is voluntary for any registered attendee. You must be present during Awards Night activities to participate. Vendor booths will be located along the perimeter of the weaving room and will offer a wide variety of basket supplies and kits. Vendor open hours will be posted at the convention and are listed in the Convention Events. Plan to shop at the following Vendors. All visitors must register at the convention registration desk between 7:30 a.m. and 5:00 p.m. on Friday and/or Saturday to receive a Visitor badge. Visitors must wear their badges at all times. Visitors are encouraged to visit the Exhibit Room and to shop at the Vendor booths. Please check the Volunteer box on your registration form if you are willing to volunteer your time during the Convention. The Volunteer Chair will contact you after you receive your class assignments to determine a time you can help with the many tasks to be completed. Non-registered convention MBG Members and others wanting to volunteer should contact Mary Ann Allen and Carol Birdsell at to schedule a time. Weaving levels for each class are determined by the teacher. Taking a class above your weaving level can be frustrating for you, the teacher and fellow students. Students need to be aware of their skills, experience and comfort in working with materials, techniques and basket style offered in a class. A desired class should meet your weaving and comfort level yet offer the opportunity to learn and expand your skill set. A student might be at the beginner level in one class and considered an intermediate in another class. A student may want to take a class with a lower weaving level just for the pleasure. Carefully study descriptions and photographs to select the right classes for you. Beginner: Students with no weaving or very little experience with class materials, techniques and basket type should consider themselves a beginner for the offered class. Advanced Beginner: Students who have mastered the beginner skills for the offered materials, techniques and basket style are ready for more challenge in an Advanced Beginner class. Intermediate: Student has a good grasp of beginning levels and comfortable working level for materials, techniques and basket style for the class specifications. Student should consider the intermediate level to expand their weaving skills and knowledge. Advanced: Student has mastered the intermediate skills for the materials, technique and style. Student is ready for the challenge.